We sell and mount Michelin, Yokohama, BF Goodrich, Sailun and more. 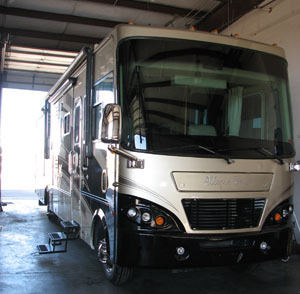 Not only will we sell you tires, but we will happily purchase the tires off of your unit. We also sell Pre-Q retreads on our casings or yours. For accuracy, we computer balance our tires. We don't use sand or Equal Balance. 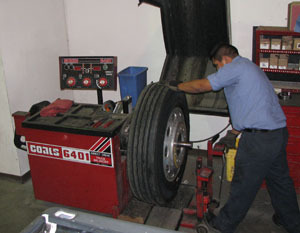 We are fully equipped to mount your spares, balance your tires, perform full rotations and air pressure checks. Our drive-through bays allow for quick and convenient service. You won't need to unhook cars or trailers in order to get tires changed, aired, or checked. 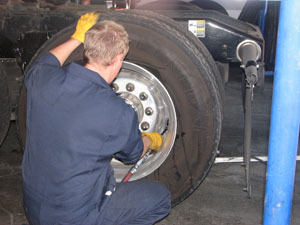 We are also one of the few places in New Mexico that can change your Tyron Flat Tyre Protection. 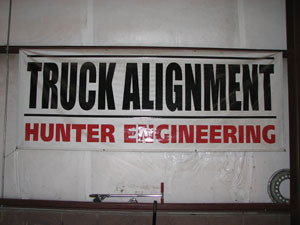 We perform three-axle alignments on most trucks and trailers. 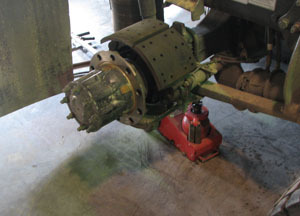 In addition to the above services, we also sell and install brakes, Monroe shocks, and do other light mechanical work as needed.